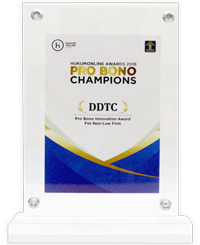 DDTC contributes in the writing of (parts of) various domestic and International books and also journals. 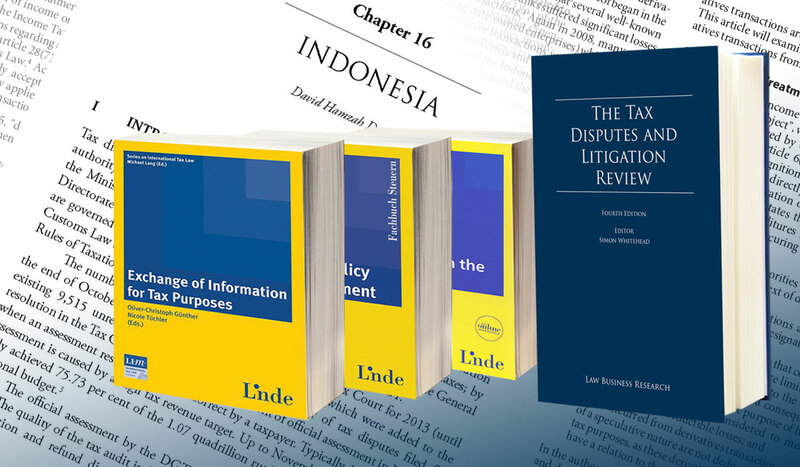 David Hamzah Damian and Ganda Christian Tobing, “Chapter 13: Indonesia,” in The Tax Disputes and Litigation Review, 7th Edition, ed. 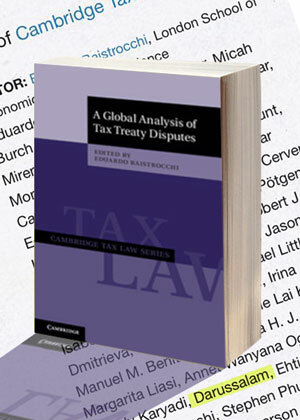 Simon Whitehead, (Law Business Research, 2019). 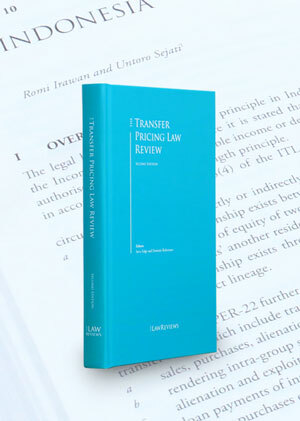 Romi Irawan and Untoro Sejati, “Chapter 10: Indonesia,” in The Transfer Pricing Law Review, 2nd Edition, ed. 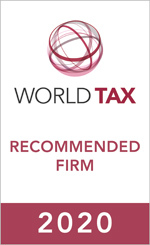 Steve Edge and Dominic Robertson (Law Business Research, 2018). 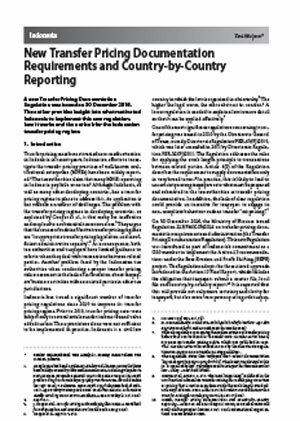 Yeni Mulyani, “New Transfer Pricing Documentation Requirements and Country-by-Country Reporting,” International Transfer Pricing Journal, Volume 24, No 3, 11 May 2017. 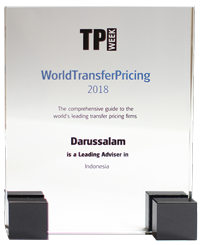 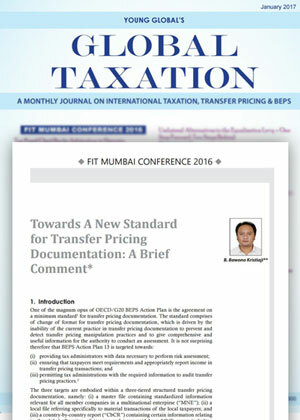 B. Bawono Kristiaji, “Towards a New Standard for Transfer Pricing Documentation: A Brief Comment,” Young Global’s Global Taxation, January, 2017. 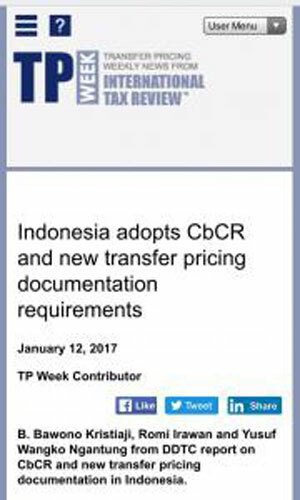 B. Bawono Kristiaji, Romi Irawan and Yusuf W. Ngantung, “Indonesia Adopts CbCR and New Transfer Pricing Documentantion Requirements,” TP Week, January 12, 2017. 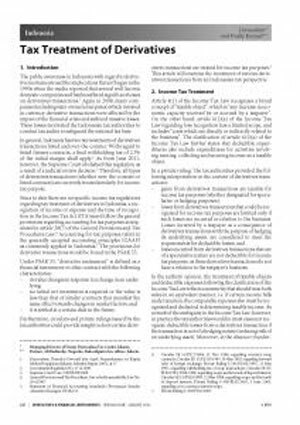 Yeni Mulyani, “Transfer Pricing Dispute Resolution and Mutual Agreement Procedures: An Indonesian Perspective,” International Transfer Pricing Journal, Volume 24, No 1, January 2, 2017. 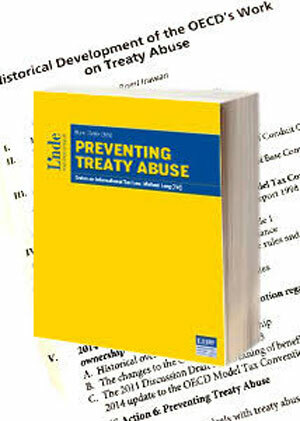 Romi Irawan, “Historical Development of the OECD’s Work on Treaty Abuse,” in Preventing Treaty Abuse, ed. 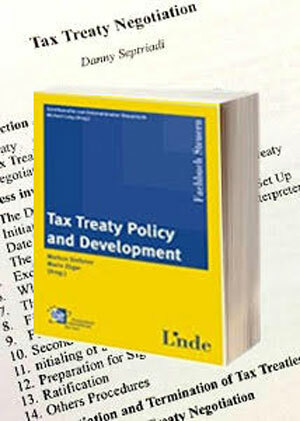 Michael Lang (Linde, 2016). 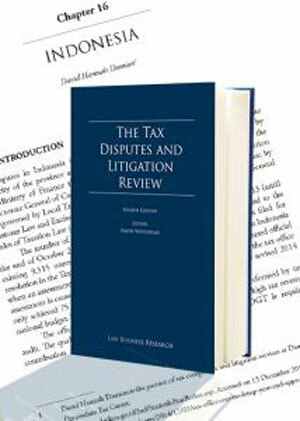 David Hamzah Damian, “Chapter 16: Indonesia,” in The Tax Disputes and Litigation Review, 3rd Edition, ed. 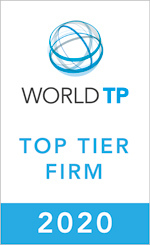 Simon Whitehead (Law Business Research, 2015). 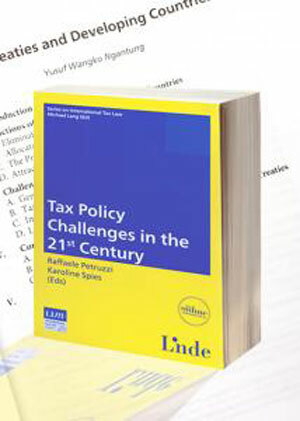 Yusuf W. Ngantung, “Tax Treaties and Developing Countries,” in Tax Policy Challenges in the 21st Century, ed. 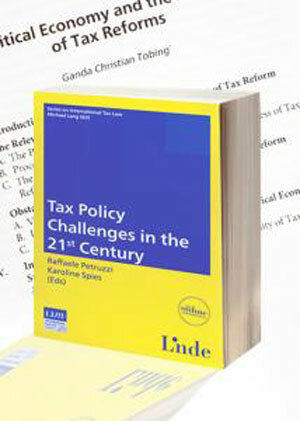 Raffaele Petruzzi and Karoline Spies (Linde, 2014). 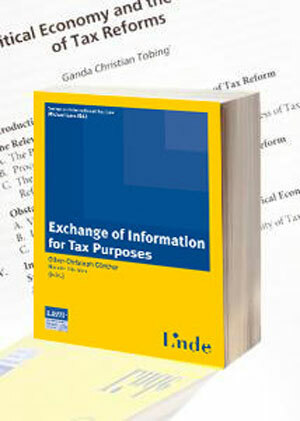 Deborah, “The Legal Relevance of the OECD Standard,” in Exchange of Information for Tax Purposes,Oliver-Christoph Günther and Nicole Tüchler (Linde, 2013). 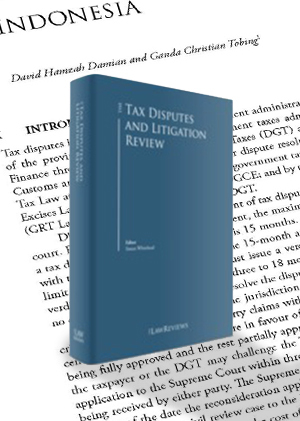 Darussalam and Freddy Karyadi, ”Tax Treatment of Derivatives,” Bulletin Derivatives & Financial Instruments-Special Issue, Volume 14, No 4a, August 2012. 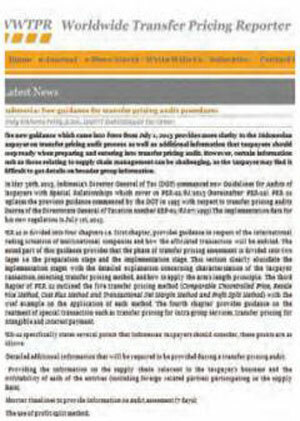 Cindy Kikhonia Febby, “The New Guidance for Indonesia Transfer Pricing Audit Procedures,” Worlwide Transfer Pricing Reporter, June 2012.